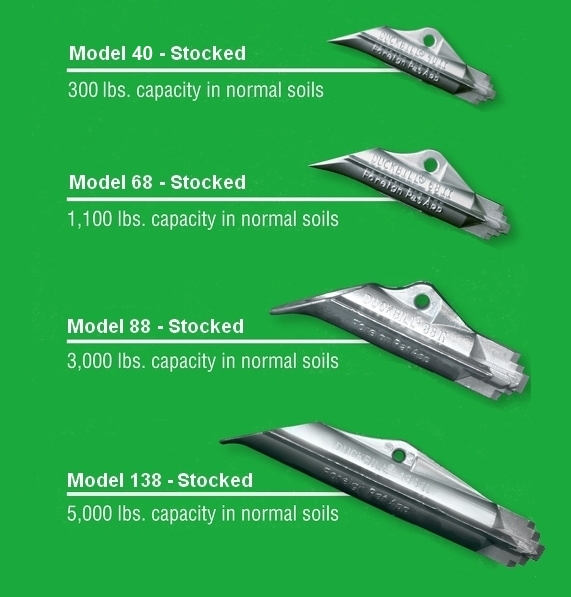 DUCKBILL® anchors, a patented labor and time saving device, work like a toggle bolt in soil. 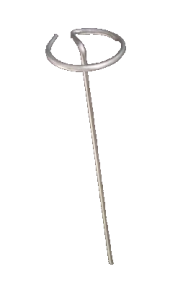 DUCKBILLS are driven into the ground and an upward pull on the anchor tendon rotates the DUCKBILL into a perpendicular “anchor lock” position in undisturbed soil. The result: superb holding capacities. DUCKBILL anchor systems offer the most effective, lightweight and economical solutions to any anchoring application, large or small. MANTA RAY® anchors, a patented labor and time saving device, are driven into the ground and unlike other anchoring systems, the MANTA RAY actually compacts the soil around itself. The anchors are driven with conventional hydraulic/pneumatic equipment that is readily available worldwide. Once driven to the proper depth, an upward pull on the anchor tendon rotates the MANTA RAY into a perpendicular “anchor lock” position in undisturbed soil. Proper holding capacity can be measured by a gauge on the anchor locker. Each anchor is immediately proof loaded to the exact capacity required. 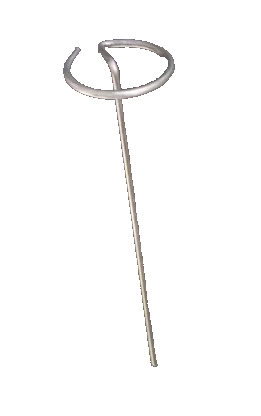 The Penetrator is an anchoring system that will secure your outdoor items, such as tents, canopies, tarps, shelters, signs, and much more, firmly to the ground. The Penetrator is lightweight, made from aircraft aluminum. It is stocked in a 9″ screw anchor with a 3/4″ hex head and in a 18″ screw anchor with a 1″ hex head configuration for easily driving the anchor into the ground. If required, you can use an aircraft tie off cable which can attach to tents, canopies, tarps, cables, etc. The screw anchor is re-useable and will not rust. 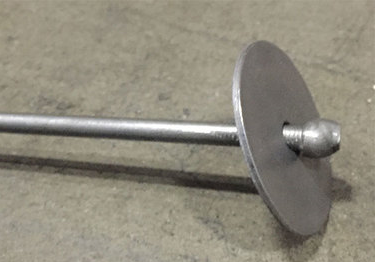 The screw anchor has a low-profile design with no sharp edges. 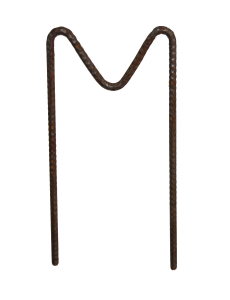 GreenStakes™ are 100% Biodegradable (disappear in 8 – 24 months leaving no residuals) Minimize the risk of injury to people, animals and machinery caused by metal pins which remain in the ground and becoming a dangerous projectile if caught in mower blades. 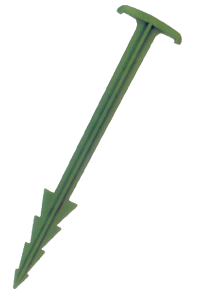 Independent tests have shown GreenStakes have more anchoring force than metal staples due to hooked head and barbs on shaft. We carry 6″ & 8″ square top and 6″ round top wire staples (sod staples). 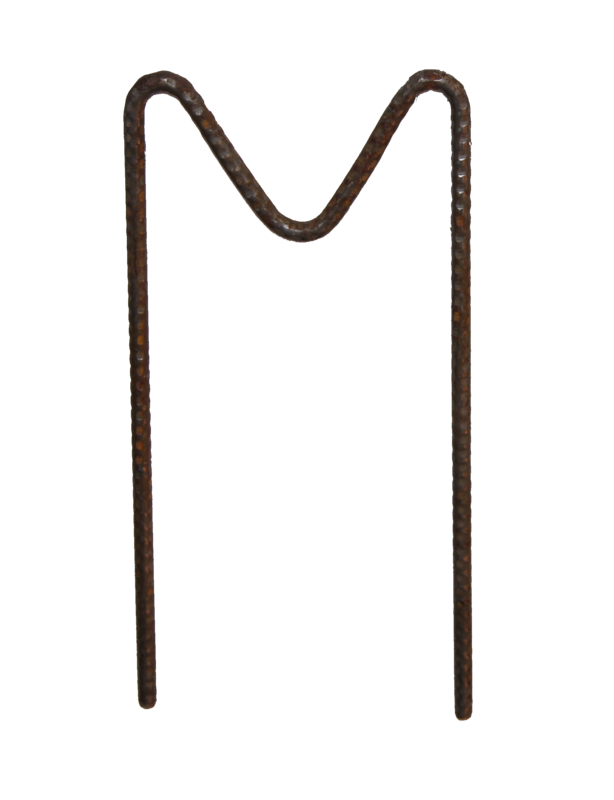 6″ staples are 11 gauge and 8″ staples are 8 gauge. Wire staples are used to hold sod, ground cloth, landscape fabrics, plastic vapor barriers, irrigation pipes and many other products in place. Staples can be purchased individually or by the box. 1” x 2” hardwood stakes are chisel point sharpened for easy installation of: jute, erosion control blankets, straw wattles and fiber rolls. Other uses include general gardening and landscaping. 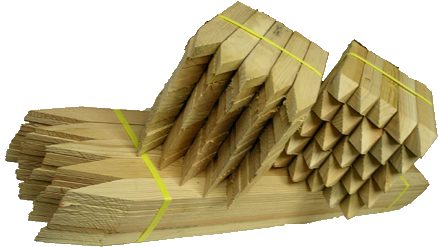 Stakes are packaged in bundles of 50 and are available in 16”, 18” & 24” lengths. 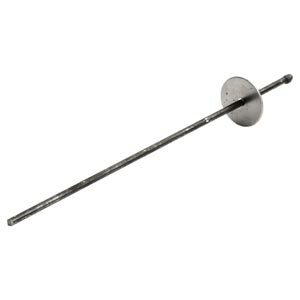 6″ (box of 1000) and 12″ (box of 500) wood landscape anchors (netting stakes) are used for pinning erosion matting, turf sods, netting, agricultural mulch and weed membranes. 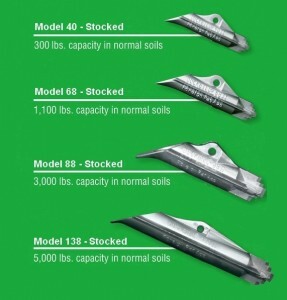 The stakes are used by landscapers, and professional groundsmen, but they are also great for camping. Available in full boxes only.